"If I win, can I have an extra slice of cake?" asked Boo. 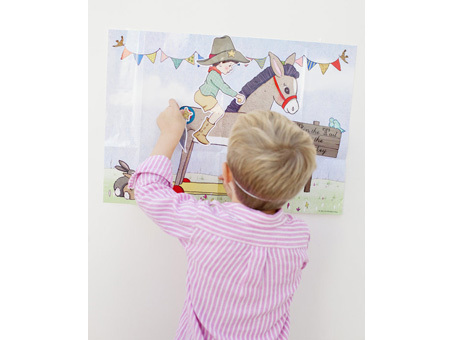 A traditional game of Pin the Tail on the Donkey. 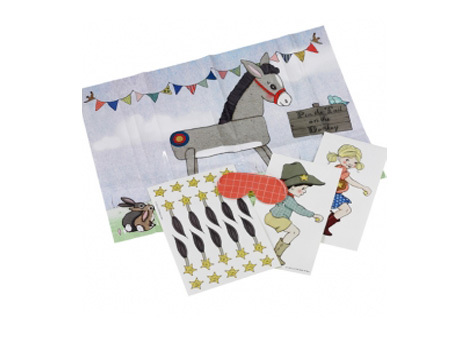 The game pack includes a beatifully illustrated, A2 poster with a choice of boy or girl rider for the donkey, 2 sheets of tail and name stickers. This is a wonderfully simple and nostalgic game you can play at any party. 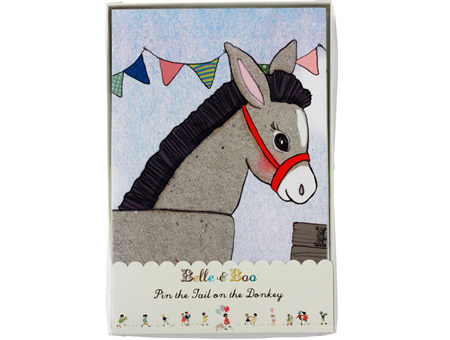 Or you can combine it with the rest of our Belle & Boo party range to create a beautifully themed party. Whichever way you win!